An inspiring concept example of a graduation project, Delft University of Technology. 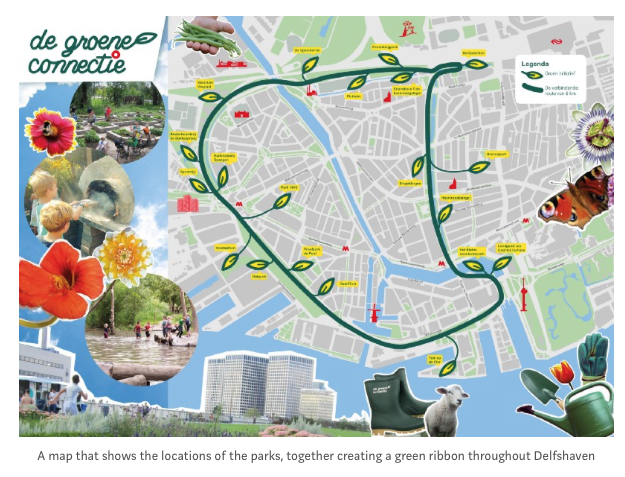 The Dutch Open4Citizens pilot focuses on public parks in Rotterdam being self-managed by citizen communities. In doing so, these communities face all types of challenges, that could potentially be addressed using open data. One such possibility could be through proving and documenting their added-value to the municipality. This is a post describing my graduation project at Delft University of Technology. I’ve worked closely with the Dutch Open4Citizens team while researching the park communities around Delfshaven, a district of Rotterdam known for their active citizens and its experimentation with democratic innovation.